In yoga, Shiva is not seen as a God, but as the first yogi, Adiyogi, and the first Guru, the Adi Guru. Sadhguru looks at Adiyogi’s contribution to humanity and speaks of the importance in ensuring that his impact is recognized around the world. Questioner: Namaskaram, Sadhguru. I heard you are planning to create 21-feet Adiyogi statues across the globe. What is the significance of this? I saw one coming up in front of the Adiyogi Alayam at the Isha Yoga Center. Sadhguru: About manifesting Adiyogi in many parts of the world – I have already spoken to some extent about how the Saptarishis went around the world. We have compiled a huge amount of research information on how 8000 to 12,000 years ago, there was linga worship in South America, Turkey, and North Africa, and snake worship all over the world – there is archeological proof for that. Only over the last maybe 20 centuries, this has been demolished and lost in most parts of the world, but originally, the Saptarishis’ influence spread across the planet. There is no culture that did not benefit from Adiyogi’s science of yoga. Yoga went everywhere – not as a religion, belief system, or philosophy, but as methods. Over a period of time, there have been distortions, but still, unknowingly, millions of people across the planet are doing some yogic practice. This is the only thing in the history of humanity that has lived for so long without ever being forced upon people. 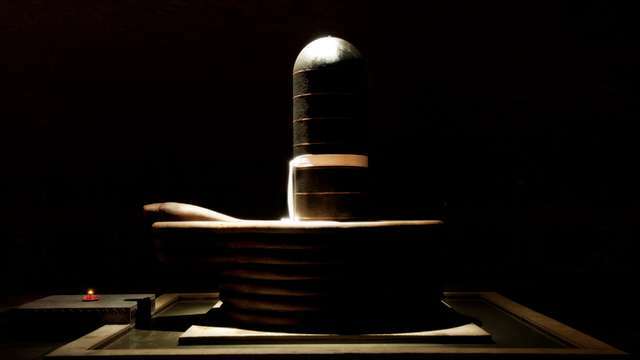 There is no culture that did not benefit from Adiyogi’s science of yoga. There are attempts to deny the acknowledgement of a certain culture and of the one who has made the most significant contribution to human consciousness ever. No one ever put a sword to anyone’s throat and said “Do yoga! Otherwise, we will behead you.” No force has ever been exerted to impose it, but still yoga has lived for over 15,000 to 20,000 years, and there has been no single authority to propagate it – simply because the process is so effective. It has had its highs and lows, but it is once again coming back in a big way. However, there are sources today that question the origin of yoga. Some even claim that the yoga that is being taught today was extracted from a European exercise system. There are attempts to deny the acknowledgement of a certain culture and of the one who has made the most significant contribution to human consciousness ever. Before I fall dead, I want to see that Adiyogi is sufficiently acknowledged. These 21-foot-tall statues of Adiyogi are part of this effort. After working on it for over 2-1/2 years, we arrived at an image that we are generally happy with. Now we are in the process of manifesting that image. Each of these Adiyogi statues will come with a structure of 111 feet by 111 feet and a 2-1/2-feet tall consecrated linga. These will be powerful energy spaces for meditation. The first ones are coming up in North America – one near the US Tennessee ashram [the Isha Institute of Inner-sciences in McMinnville], one near San Jose, one in Seattle, one in Toronto. Many other cities are examining this possibility too. Our idea is to set up 50 in the United States – one for each state. In India, such spaces will come up wherever someone takes the initiative to make it happen. 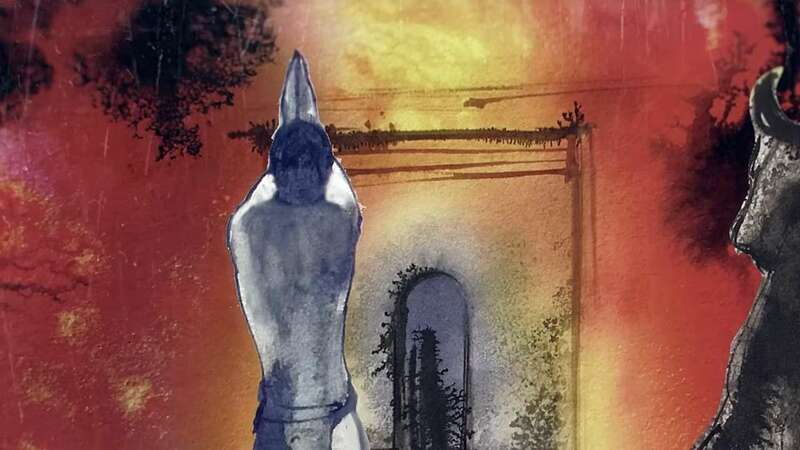 A few people are also working towards establishing 112-feet-tall Adiyogi statues in four corners of India. The government of Arunachal Pradesh has invited us to establish one in their state, which is the first part of the country to be touched by the rising sun. It is my desire that the first sunlight in India should fall on his face. Irrespective of caste, religion, and gender, people should celebrate him for the contribution that he has made to humanity – not as a god but as a man who rose beyond all limitations – he was everything that a man can be and everything that a man cannot be. He was the one who opened up this possibility for humanity for the first time. He not only spoke about it – he gave specific methods as to how to do it. No one else before him or after him has made a greater contribution to human consciousness. 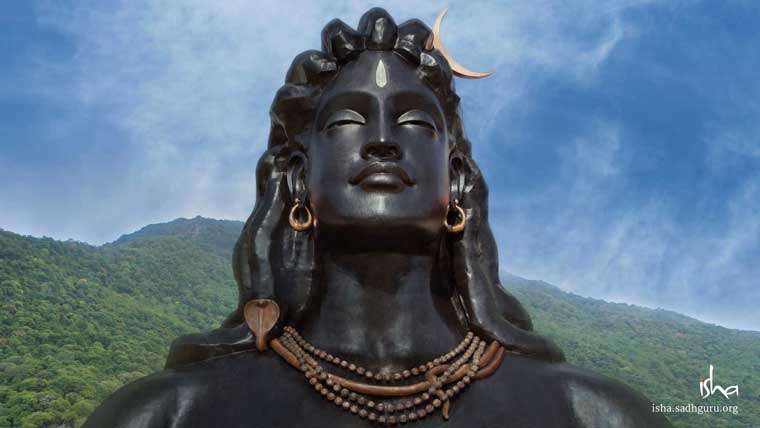 Out of the other three 112-feet-tall Adiyogi statues, we want one to come up in Uttarakhand, on the way to Hardwar; one near Kanyakumari, and another one in Rajasthan, near the border. In four corners of the country, there will be large, iconic Adiyogi statues that people cannot ignore. We are also coming up with a book on Adiyogi. It is very important to see him as a man – only then, there will be a possibility of you striving to be like him. Whether it is Krishna, Rama, Jesus, or someone else – the moment you look at them as gods, you don’t strive to be like them – that is the problem. I want to constantly remind everyone that Adiyogi was more than a man, but still very much a man. Every human being is capable of this irrespective of the backgrounds they come from, what they know, and what they do not know. If they are willing to do certain things, transcendence is a possibility in everyone’s life. To make this a big statement and acknowledge him as the one who offered the science of yoga, we are thinking of setting up four big statues in the country and in between as many 21-foot statues as we can. Everything that I am is only because of this particular science being available to us freely. If, when I was young, they had imposed a restriction – let’s say “If you want to do yoga, you must do Guru Pooja” – I would have gotten up and left. If they had told me to bow down or light a lamp, I would have left. There were no such restrictions. There were just instructions on what to do, and it worked. I would not be who I am without the science that Adiyogi has offered, which is 100% irreligious. He predates all religion. Yoga is something so precious for the modern world, because we are stuck with the intellect. The problem I had in my youth – that I couldn’t light a lamp, I couldn’t bow down, I couldn’t enter a temple; if someone said one mantra, I would go away – is a problem of the intellect. I want to see that Adiyogi’s name is uttered everywhere. Everyone who comes to an Adiyogi space can pick from 112 options the one thing they want to do and start with a three-minute sadhana. The more the intellect is emphasized, the more people will have this problem. When this problem arises, yoga as a scientific approach is the only way. Everything else will only divide people. And that time is not far away for humanity. Before that time comes, I want to see that Adiyogi’s name is uttered everywhere and everyone knows that this science of yoga is available. These statues will be 112 feet tall because Adiyogi gave 112 ways a human being can attain to the Ultimate. We want to simplify this and offer you 112 things that you can do. Out of this, you just have to do one thing. This will transform your life in the simplest possible way. Everyone who comes to an Adiyogi space can pick from these 112 options the one thing they want to do and start with a three-minute sadhana. Everyone can invest three minutes. If it works for them, they can gradually increase the duration to 6, 12, or 24 minutes. We want to establish this within the next decade that irrespective of caste, religion, gender, or physical condition – everyone will have a simple spiritual process in their lives. Whoever wants to stand up and make this happen, please stand with us, because bringing a spiritual process into people’s lives is one of the most important contributions that we can make to humanity.